When I worked as an Occupational Therapist in the schools, one of my favorite skills to work on with kids was scissor skills. I loved working on the fine motor strength to open and shut scissors repeatedly in order to cut a shape with endurance, the eye-hand coordination needed in order to manage the scissors along lines, and the bilateral hand coordination needed to manage the paper and the scissors. There are a lot of little steps needed for each of these components of cutting a shape. A child can become very frustrated with the task of cutting with scissors if just one of these areas are difficult. I love that many scissor tasks can be graded according to skill, age, or ability when it comes to snipping. And I love doing activities with my kids to work on hand strength needed for using scissors or working on visual motor skills needed for cutting shapes with scissors. When it's time to look for toys or holidays or birthdays, sometimes parents want a gift that is purposeful for independence or developmental skills like toys to help kids with getting dressed or toys to help with pencil grasp. 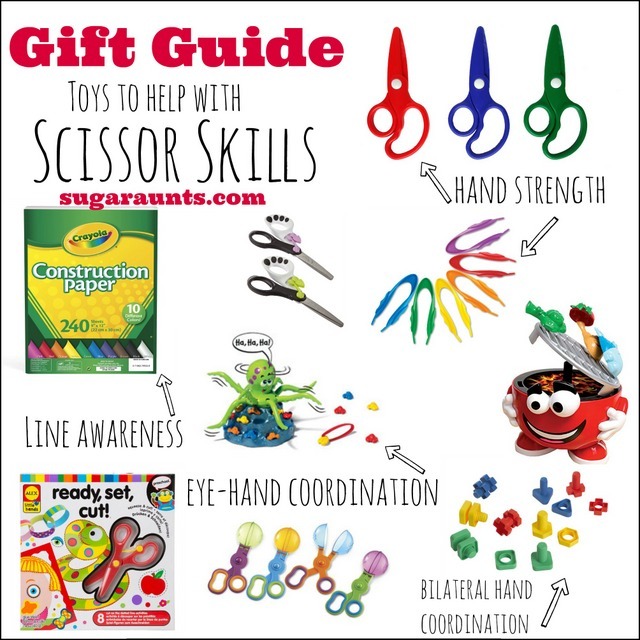 This one is all about our favorite toys to help with Scissor Skills! 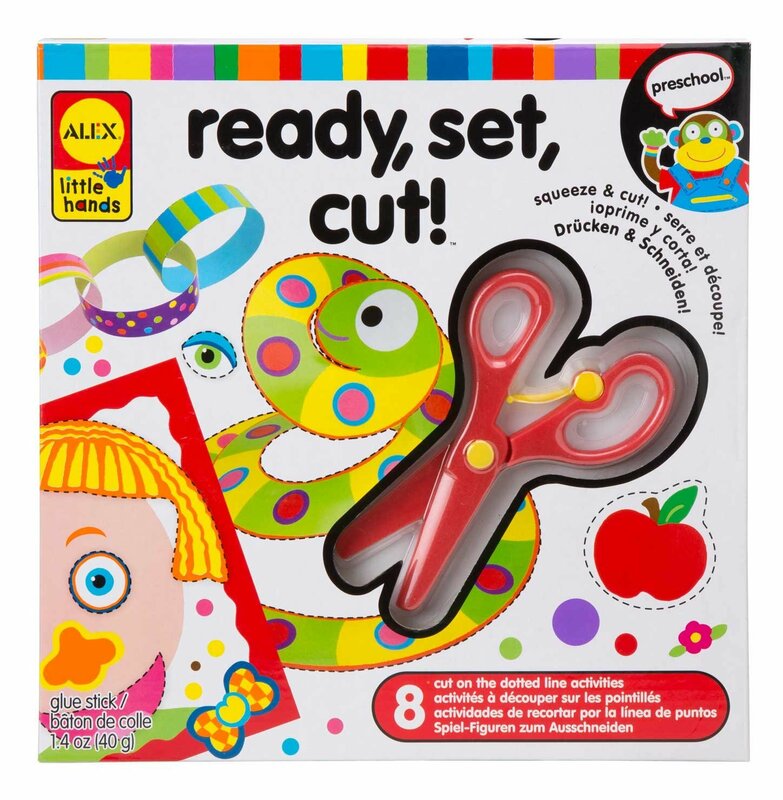 Scissor sets can help kids work on the developmentally appropriate levels of using scissors: snipping, cutting strait lines, then curved lines and angled lines. Finally simple shapes and complex shapes are covered as the child works their way through the books. Ready, Set, Cut! from Alex Toys for scissor practice on curved and spiraled lines to create eight crafts. 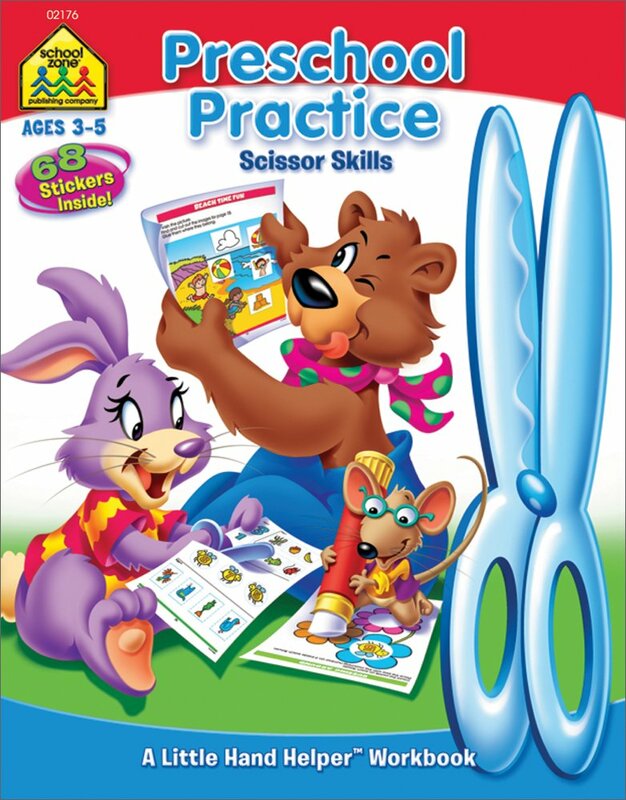 Preschool Practice Scissor Skills book for ages 3-5 with 32 pages of scissor readiness skills for kids. The Melissa & Doug Scissor Skills Activity Pad with 20 pages of scissor skill mazes, activities, and art. This book includes a pair of scissors. Learning Resources Handy Scoopers are beyond cool for scissor readiness and strengthening. 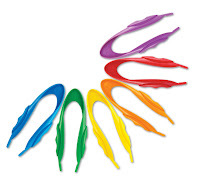 These scooping tools are great for using the muscles of the hands needed in scissor motions. The opening and closing motions needed for scissor manipulation can be tiring for some children. 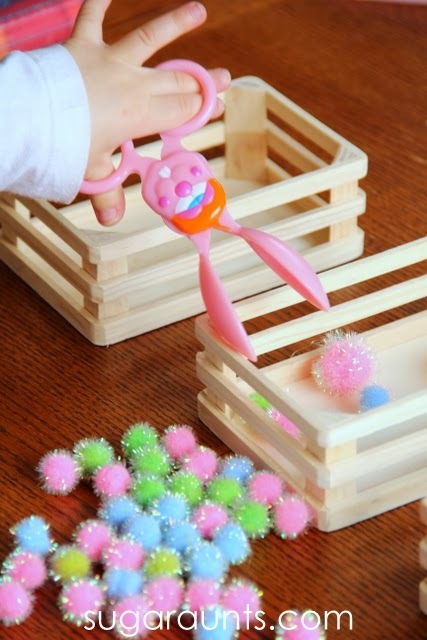 Practice scooping up crafting poms, cotton balls, tiny erasers, water beads, play dough, and more with these fun tools. We used bunny tongs in scissor play to work on hand strength. These bunny tongs aren't on Amazon right now, but we did find other egg tongs that will work on hand strength. You can also use play dough to improve scissor skills. Something really neat are these dough scissors for cutting clay and play dough. 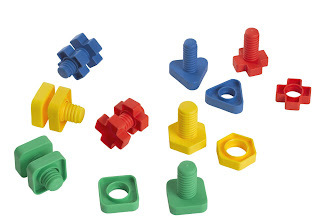 These are great for strengthening the muscles of the hands. 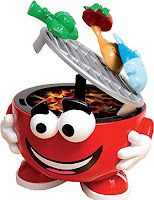 How cute is this Barbecue Party Game that comes with barbeque tongs (great for grasping play!) 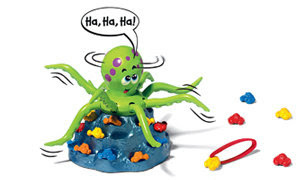 Equally cute and equally great for hand endurance is the Jolly Octopus which requires repetitive open/shut motions of the hand on tongs...a great pre-curser for scissor skills! Jumbo sized Tongs would make a great stocking stuffer and are big time fun for grasping erasers, crafting poms, dice, and small items of all kinds. These would be fun stocking stuffer ideas! 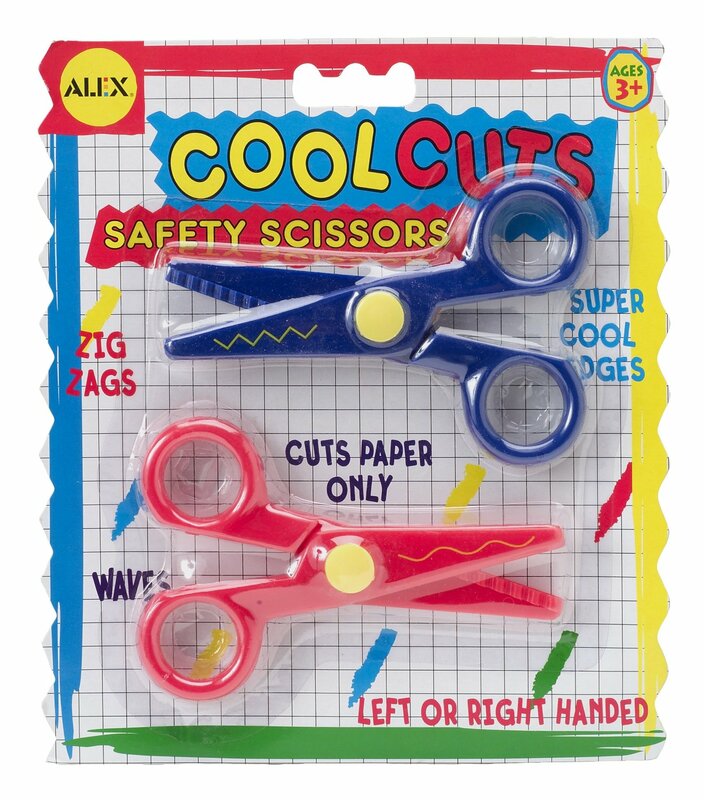 Zig Zag Cool Cuts scissors from Alex Toys cut zig zags and wavy edges. These scissors make snipping fun. A fun blade can make scissor practice fun for kids of all ages. 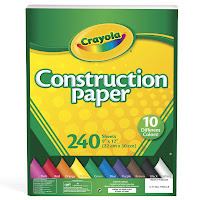 Throw this together with a pack of colored paper for an easy gift idea. Cardstock is thicker and can provide more resistnace for new scissor users. This increased resistance will slow snipping speed and allow for more accuracy when cutting lines of shapes. 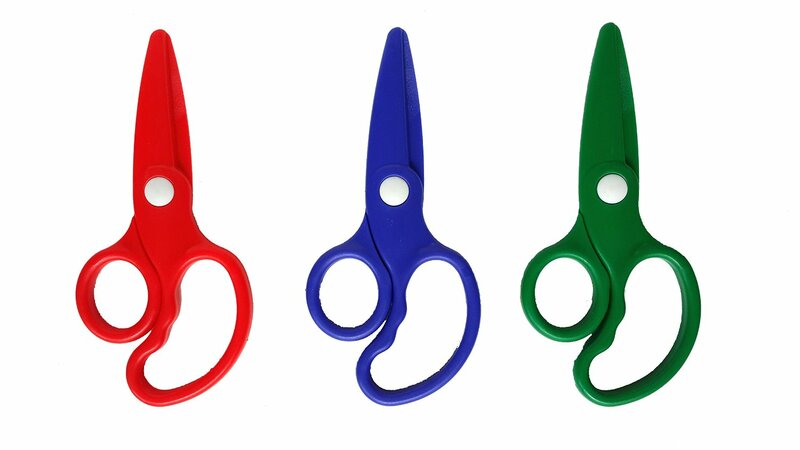 Loop scissors are great for children with weakness in extending the thumb, or coordination difficulties. 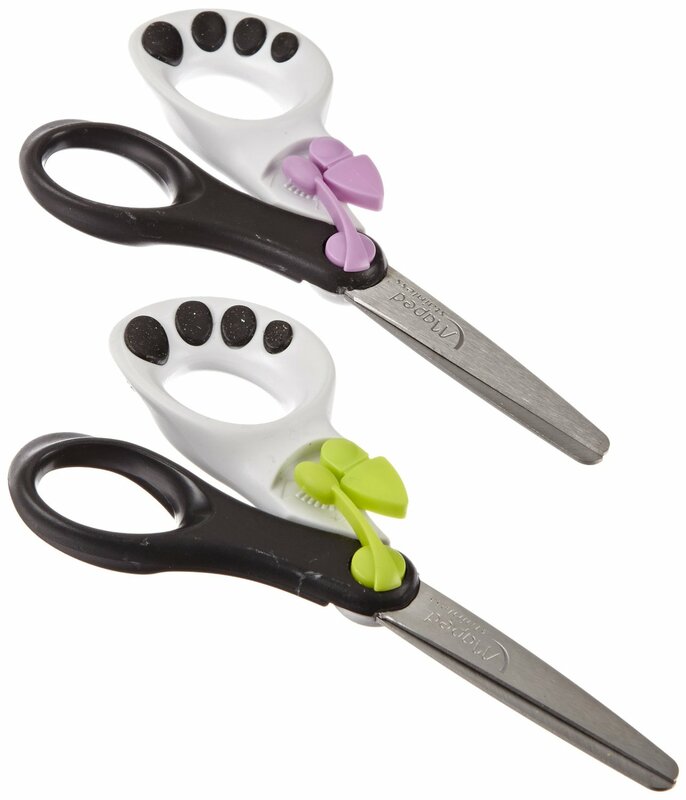 The loop of the scissors opens automatically and the ease of opeining the blades can allow for improved line awareness in cutting if the child does not need to focus on the physical task of opening and closing the scissor blades. 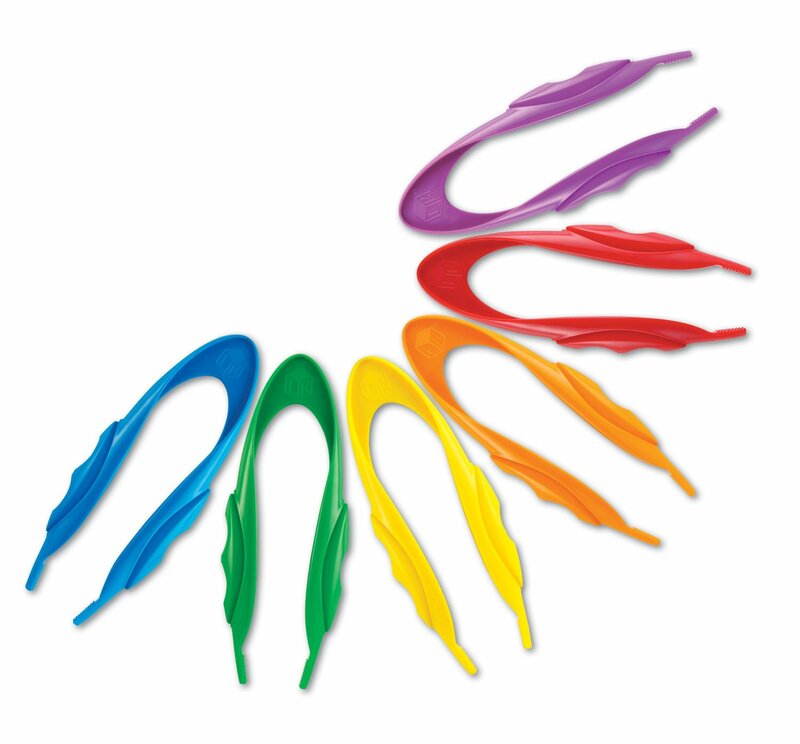 Spring Assist scissors are great for a child with hand weakness or fine motor difficulties. The blades open with a spring assist and are great for beginner scissor users. My First Scissors don't have loops for little fingers to manage. 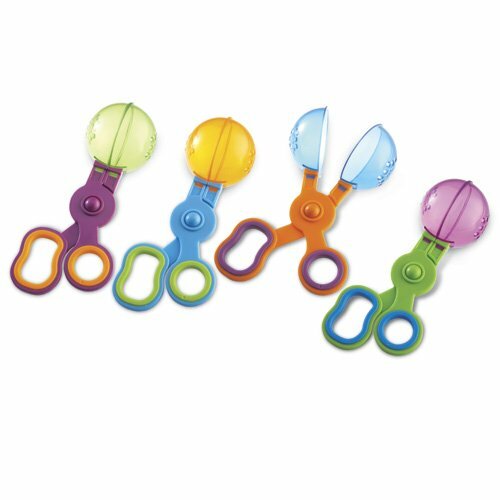 These snips are great for small children to use in the whole palm. There is a spring mechanism to open the blades. Sometimes a child can manage the hand strength, and visual motor skills needed to manage scissors (open and shut with controlled movements) and hold the paper with an assisting hand while holding the scissors with an appropriate grasp. The difficulty lies in their visual motor skills. Eye-hand coordination difficulties can make cutting along a line difficult. Slower snipping with the scissors will allow for improved accuracy. Providing a child with thicker paper can make cutting accuracy easier as increased resistance allows for slower snips. We love practicing cutting skills with foam crafting sheets for line awareness. Foam crafting sheets make a great stocking stuffer. Going down the line of greatest to least resistance in scissor skills (and making scissor accuracy more difficult) would be cardstock , then construction paper , printer paper , then thinner paper or materials like tissue paper . Bilateral hand coordination is needed to hold the paper (and rotate the page when curves and angles are happening) and to manage the scissors with the dominant hand. These nuts and bolts are a fun way to work on bilateral hand coordination and strength of the hand. 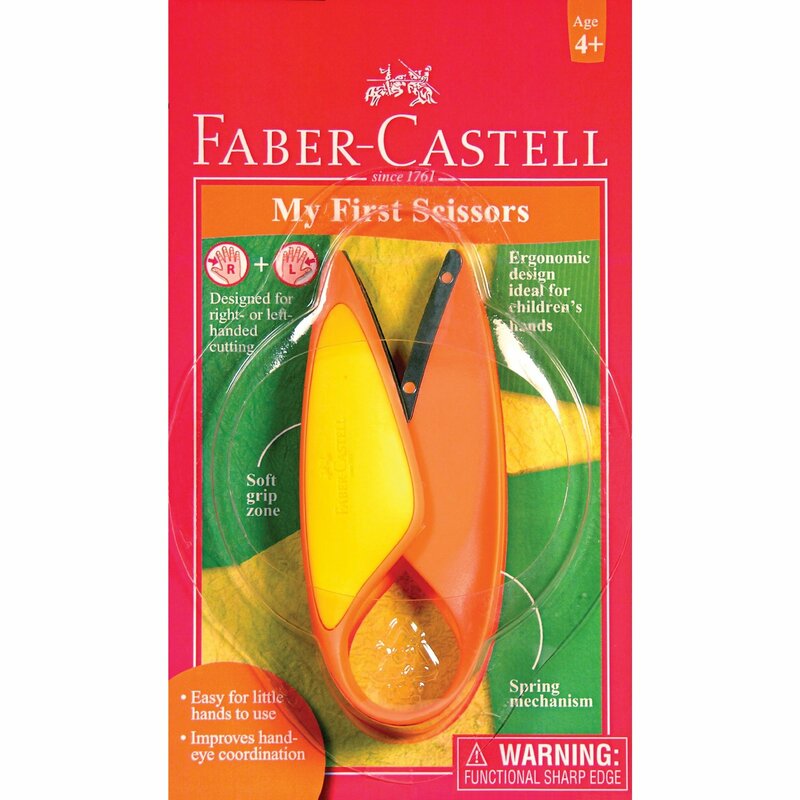 Have fun shopping for fun scissor games and activities for your little one! This post is part of the Kids Blogger Network Ultimate Gift Guide. You can find all of the gift guides over at What Do We Do All Day.